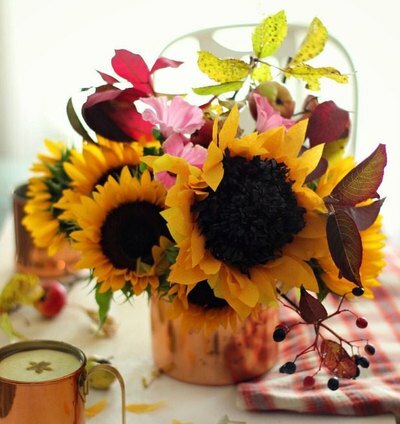 Nothing says fall like beautiful fields of sunflowers. 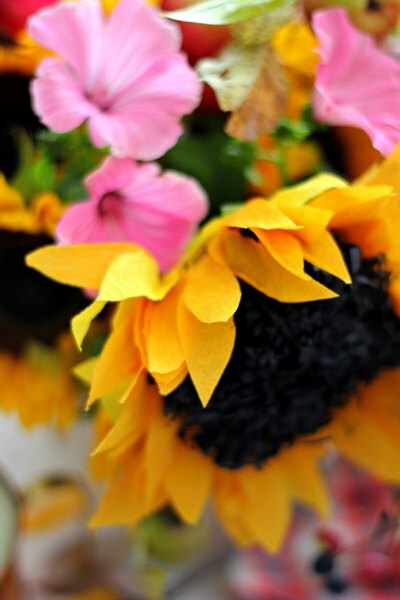 Their golden smiles and mysterious eyes make these flowers so captivating. 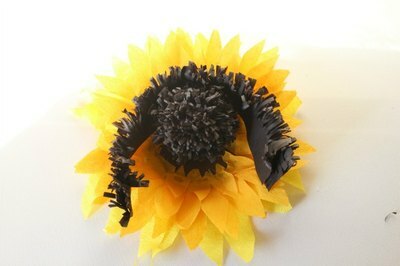 But why not enjoy these beautiful flowers all year-round by making your own with paper? 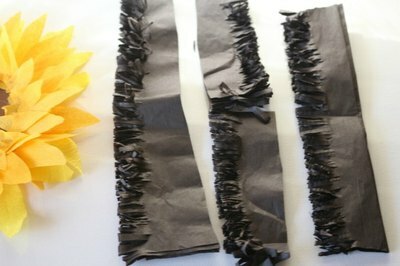 Fold the bright yellow and the yellow orange crepe paper several times in an accordion-like manner so they are in strips as shown. 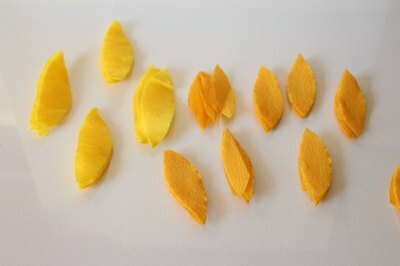 Cut several petals, using the lighter yellow paper for the large petals and the darker yellow for the smaller petals. Cut a circle out from the cardboard. 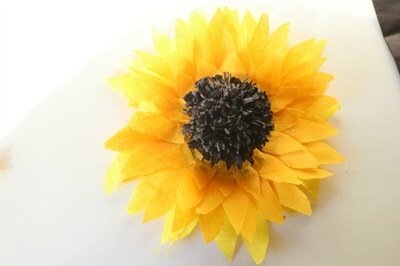 Glue the ends of the smaller petals around the back of the circle. 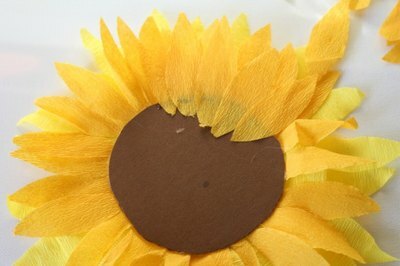 Glue the ends of the larger petals on top of the other petals, again on the back of the circle. 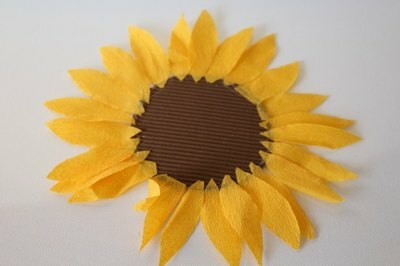 Glue an additional row of smaller petals around the top of the cardboard circle. 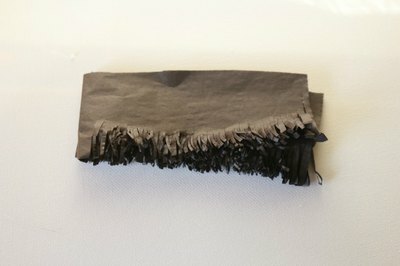 Fold black or dark brown tissue paper, in an accordion-like fold, and cut small slits along the bottom as shown. Roll one strip up and glue the end to make the start of the flower center. Glue this to the center of the cardboard circle. 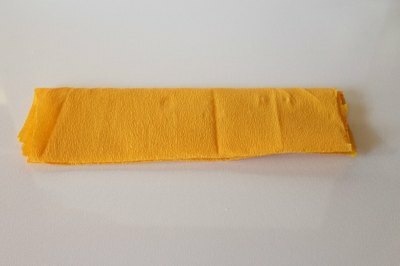 Take the next strip and glue one end to the flower center. 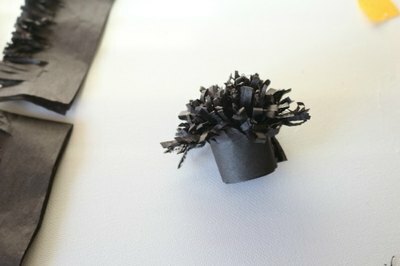 Wrap it around the flower center, thus making the center bigger and fuller, and glue the other end down. 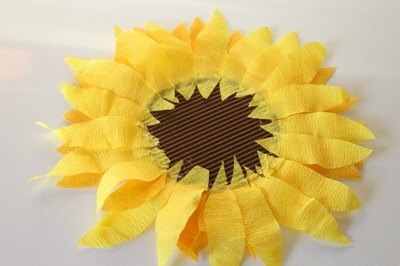 Continue gluing additional strips around to make the flower center increase in diameter. Make the center roll almost as big around as the middle of the flower. Glue the last strip around the center roll. Cup the flower in your hand and shape the petals toward the center of the flower. 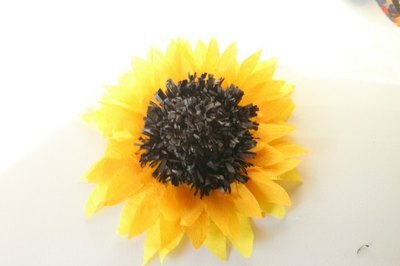 Sunflower petals tend to curl inward toward the center. Cut the foam ball in half and paint it green. 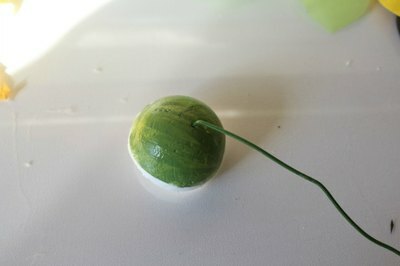 Insert floral wire and glue the half-ball to the back of the flower. 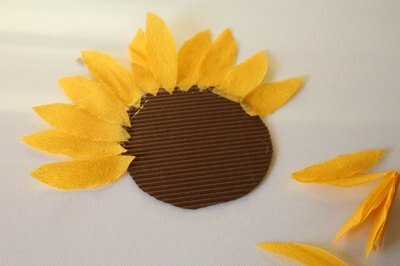 Enjoy your handmade sunflowers year-round. No watering required.